I read this article and found it very interesting, thought it might be something for you. The article is called Who Doesn’t Want Great Presentation Technology on the Cheap? and is located at https://www.presentation-guru.com/who-doesnt-want-great-presentation-technology-on-the-cheap/. Who Doesn’t Want Great Presentation Technology on the Cheap? From broadcasting webinars for free to downloading free powerpoint templates, we’re always working on sharing cost-effective solutions with our audience. In this article, Karl reviews five cheap presentation programs that will ensure your next presentation doesn’t break the bank. As a fellow communicator, geek, and genuine cheapskate (just ask my wife), I’ve always been intrigued by great technology for presentations and events that provide effective ways to engage an audience and yet are truly “on the cheap”. When doing presentation development and consulting for various clients from smaller organizations to Fortune 100 companies, one common theme exists – how can we do more with less. As I’ve come across these great and yet affordable technologies, I’ve investigated them and taken note. As a result, I’ve collecting a laundry list of what I call “cool presentation technologies on the cheap”. So, let me share with you five favorites. Another common need heard from presenters and event planners is the desire to place a presentation online after an event so that those not able to come could still have a similar experience. But, creating a single video with both the slides and presenter together has its challenges. While it’s possible to affordably videotape the presenter and the corresponding slides at the same time, the result is a continual panning of the camera. While that might be beneficial for Dramamine sales, it doesn’t create a great viewing experience. 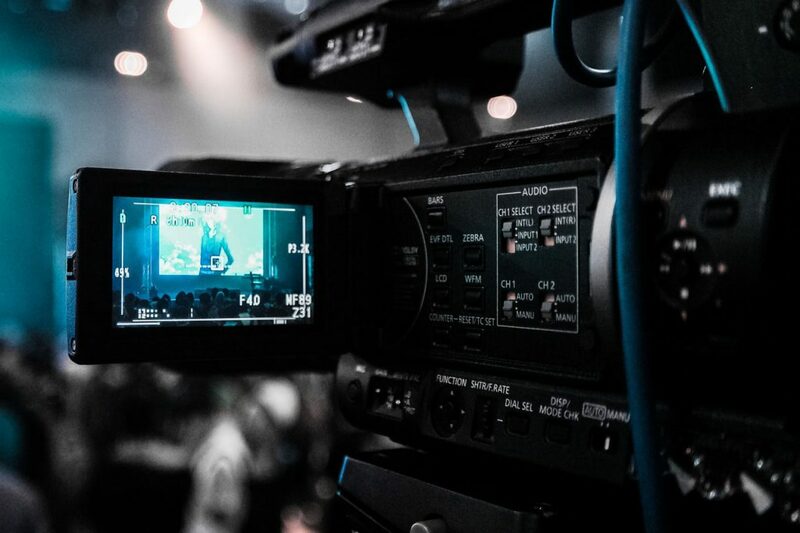 Alternatively, it is possible to videotape just the presenter and edit slides into the video, but that can take significant time and often budget. the technology allows users to upload video of a presenter, upload the PowerPoint from that presentation, and then synchronize the two easily. The result is a side-by-side view of both the presenter and synchronized slides providing an experience that is the next best thing to being there live. It also includes a content outline for the viewer so that with longer presentations, users can easily jump to any segment with presentation instantly. The title of this post does say “on the cheap,” right? So, I’m sure you’re thinking… “so, how much?” The beautiful thing is that it’s free. For anyone wishing to synchronize a YouTube video with their PowerPoint, there is no cost. For a small monthly fee, users can choose to upload their video to Zentation to keep content private and gain other advantages like ad-free playback, color customization options for the player, and monthly viewership reporting. OK… in the spirit of full disclosure, Zentation.com is the only one of the five here that our firm owns. Still, it is a favorite in any respect. The next four we have no ownership or involvement. We just think they’re cool and wanted to share. Another one of our favorite technologies is Poll Everywhere. Audience engagement is such an important part of any presentation, and unless you have hired an event production company to integrate interaction technologies, it can sometimes be difficult. With Poll Everywhere, every audience member with a cell phone is now able to participate in the conversation. The general concept of an Audience Response System (or ARS) has been around for a long time. They allow presenters to ask a question of the audience and get instant feedback. Existing systems have physical keypads that are handed out to each participant and they work really well, but they can sometimes be expensive. With Poll Everywhere, the keypads and hardware are replaced with a simple Web-app accessed by audience members through a smartphone. The system can even access audience responses via text. So, even your Mom’s old flip-phone can be a part of it. The process is very simple. The presenter sets up questions in the system from a variety of question types including multiple choice, free form answer, or clickable images. Within the presentation, a question is posed and audience members respond via a web link on their smartphone or a text message on any phone. As the presenter, you can view those responses in real-time in order to show the results on-screen in a graph or simply view answers with the goal of it influencing how you move forward with your presentation. So, let’s jump back to the key question we’ll pose for each favorite technology… “So, how much?” Just like Zentation, there is a free option. For up to 25 questions and some other limitations, you can create an account and start using Poll Everywhere right now at no cost. To step up to some of the premium plans, those begin at an affordable $20-$80 per month. Continuing on the topic of audience engagement, consider Crowd Mics. We have produced numerous large business meetings and when considering Q&A, there is always a choice of how to obtain audio from the audience. “Mic wranglers” are an option where designated people run around handing mics to participants with questions. It is also not uncommon to create a couple or few locations with a mic on a stand and have participants walk up. Either approach can work, but with Crowd Mics, you have another very cool option. In short, every audience member with a smartphone is mic’d. The presenter can ask for questions and see requests appear on a dashboard for those that would like to ask a question. In the dashboard, a given person’s smartphone mic can be “turned on” and played through the room’s sound system. Crowd Mics has created a relatively simple piece of hardware called “the ATOM” which bridges that voice data content to a normal sound board or PA system at the venue. Like Poll Everywhere, it also has some polling and commenting capability, but what really struck us was the audio integration. Very powerful capability. Back to our favorite question… “So, how much?” And here continues our favorite answer… it is free for up to five participants. In this case, that is more for testing that actual use, but an event license is only $500 which even includes up to 30 days of usage for multi-day events. I will admit. This one is a little strange. Zamzar isn’t the prettiest looking site and technically, it’s not a presentation technology, but I can’t remember how many times it’s come through for me. Part of creating a presentation is assembling content from different sources and often in very different formats. In order to use them within Keynote or Prezi or PowerPoint, they often need converting. PowerPoint, for example, tends to provide smoother playback of video when inserting MP4/H264 or WMV formats when compared to MOV formatted videos. And while some of you might have Adobe Media Encoder or some other software at the ready to convert those files, many of you do not. In certain situations, Zamzar has been a life saver. Simply put, it can convert just about anything to just about anything else. It can even convert a TXT file to an audio file (text to speech) which has been handy at times. To make the process easy, there is no software to download and install. You simply upload your file, pick to what format you want it converted and then provide an email address to be notified when it’s ready. Pretty simple. Of course, the downside of that process is that if your file is very large, then there are some limitations. Returning to our repeat question… “So, how much?” It of course is free as well. That does come with a caveat of files under 50 MB. However, jumping up to allowing a 200MB upload is only $9 per month. Video can be one of the best improvements to any presentation. 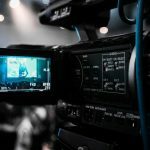 An opening video, a roll-in within the presentation to prove a point or even a “candids” video utilizing photos from an event can all provide great engagement and energy. The challenge, at times, is getting it completed if there really isn’t budget for it. And while the impact isn’t as strong as developing a video in a professional edit suite, you can get some solid results by leveraging a technology like Animoto. Animoto allows users to upload images and videos to their site, upload a music track and then insert on-screen text for key messaging. Animoto will then automatically assemble all the content into a finished piece that can be shared or downloaded. Now, you may be thinking… “But, I can just to that with iMovie, Karl. What’s the big deal?” One element of Animoto that we find interesting is what they call Cinematic Artificial Intelligence. Their system will actually “listen” to the music and analyze your content in order to provide a more cohesive pace and final product. Pretty cool. That and it’s just extremely easy to use. And now for our final question… “So, how much?” OK, I can’t answer free for the first time, but their starting subscription rate is a whopping $8 per month. So, I don’t think that will put you into bankruptcy. That level provides some basic capabilities with additional subscription tiers offering more still at an affordable $20-$40 per month. As can be seen from this list, the technology and, therefore, power we have nowadays, not just at our fingertips but well within our budget, is enormous. I’ve only picked my five favorites but if you have any more that you think should be included, please feel free to add to the list in the Comment section below. Karl Siegert is the Founder and Managing Director of Zentation.com an online presentation technology that combines video and slides in a web format. He also serves as Chief Operating Officer of MVP Collaborative, an Experiential Marketing agency in Michigan and named by Event Marketer to its “It List” of top 100 agencies specialising in Consumer Experiences, Employee Engagement, Visual/Video Storytelling, and digital/interactive.